Ships separately in 1-4 weeks. (Lentinula edodes) Known for excellent flavor and medicinal qualities. Earthy, hearty, and rich, they pair well with other vegetables, in soups or sauces, or substituted for meat. 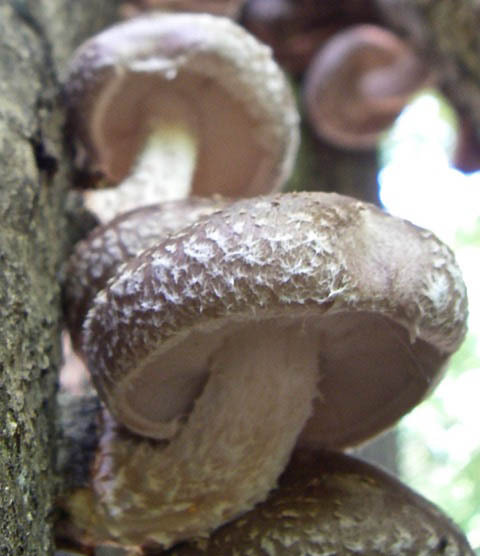 Our naturalized strain “Cismont” was collected on the farm and produces excellent mushrooms on oak, sweetgum, and other hardwoods. 100 plugs.